While Club Nintendo was translated into numerous languages and distributed throughout Europe, the German edition is perhaps the most well-known version. 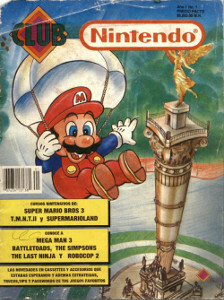 This was partly because Germany was one of a select few European regions to get a drastically different Club Nintendo magazine from the rest of the continent. This version would continue long after the UK version was discontinued, lasting through the latter half of the SNES years and the duration of the Nintendo 64's lifespan. It would eventually be discontinued in 2002, right at the start of the Gamecube's European release. 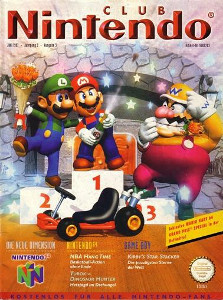 It's fair to say that the most commonly-remembered aspects of the German Club Nintendo magazine nowadays are its various comic stories, which would either promote newly-released games or put classic Nintendo characters in unusual situations. These would include a detective noir-themed Kirby comic and a couple of horror-themed stories featuring various Nintendo characters. Mexico's own magazine of the same name is not actually affiliated with the Club Nintendo magazine covered here, but is still worth a mention nevertheless. Starting in 1991, the magazine enjoyed a 23-year run as a monthly print magazine until December 2014. From then on, coverage moved to digital formats with the print magazines limited to bi-monthly specials. Today, the publication's distribution is split, with Mexico receiving digital-only issues and South America continuing to receive the magazine in print. Picture credits: German 'Club Nintendo' cover image - Mario Wiki, Mexican 'Club Nintendo' cover image - Supper Mario Broth.